eBox is a remote control unit equipped with an HTTP web interface and SNMP protocol. It is configured to be used with all Elenos transmitters, exciters, amplifiers, protection systems and exchange units. It is also able to provide status information on a large number of parameters related to the equipment operation, and the ability for remote control and management. 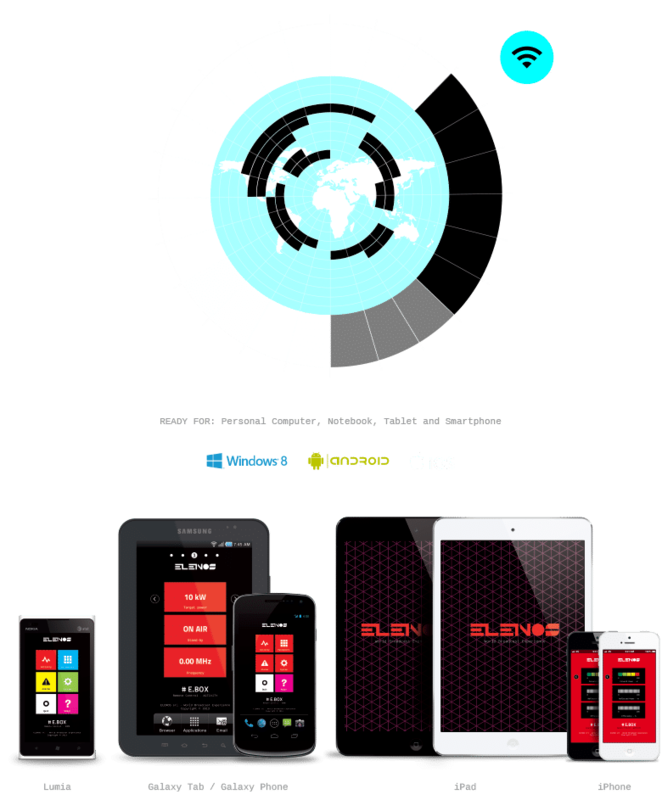 The user can interface any Elenos product equipped with an eBox (internal or external) from a PC, Tablet or Smartphone device. Elenos has equipped all of its FM transmitters and accessories with the possibility to be fully managed and controlled remotely by the use of our Ethernet interface device ( “eBox” ), through which the operator can perform almost all of the operations that can be done in local mode at the site of the equipment. The connections are based either on SNMP browser or through an HTTP website. 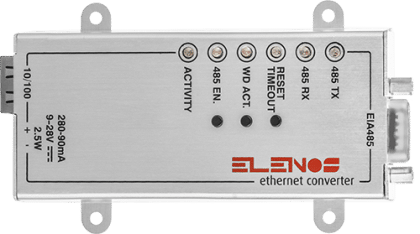 eBox devices also allow for remote firmware upgrades and can be interchanged between any of various types of equipment in the Elenos product lines. These units are compatible with all current production equipment and may also be retrofitted for use in other Elenos equipment no longer in production. An IP connection is required to be able to use the eBox device and can be used over both wired or wireless networks and in private or public networks. Total control of the transmitter via PC and latest generation mobile devices (smartphones and tablets, regardless of their operating systems). Wide range of user custom options. Ability to enable or disable SNMP traps. Very large number of variables and traps can be managed. Intuitive and effective graphic user interface. All Indium transmitters feature the IEC60864-1 standard interface TC/TS (Telecontrol/Telesignal) for integration with traditional remote control and monitor systems. Additionally, remote monitoring and control functions can be carried out directly from a tablet, smartphone, or a PC using Elenos applications, or by use of the Elenos e-Box and a web browser or SNMP Manager. All Indium-series transmitters are equipped with an Ethernet port allowing you to access an integrated web server providing a management and control interface via a TCP/IP or SNMP network connection. Your Indium transmitter can also include an optional internal GSM modem providing management and control access using a GRPS, 3G or 4G SMS connection. Each method provides a full range of quick remote monitoring and diagnostic options. The standard HostLink protocol makes it simpler to handle even with large amounts of data.